THAILANDE – Bangkok - The Fine Arts Department (FAD) is restoring six archaeological sites in Bangkok which were damaged by severe flooding last year. The six sites are Wat Sawettachat, Wat Chatkeaw Jongkonnee, Wat Maha That Yuwarat Rangsarit (Wat Maha That), Wat Arun Ratchawararam (Temple of the Dawn), Wat Jaturamit Pradittharam, and Bangor Mosque. Most are about 250 years old, and are on the banks of the Chao Phraya River. BULGARIE – Provadiya saltpans - The oldest historical town in Europe is located near the saltpans in the vicinity of the Bulgarian northeastern town of Provadiya in the Varna region. The discovery has been made by Prof. Vasil Nikolov, from the National Archaeology Institute and Museum in the capital Sofia. For many years, Nikolov had been studying the Thracian mount in the yard of the Provadiya salt factory. The scientist says that it was precisely the salt production that caused the establishing of the town there over 6 500 years ago. Prior to this discovery, archaeologists proved that this has been the location of the first salt factory in Europe. Prehistoric people molded the spice in the shape of bars and stored it nearby. Then scientists came upon stone walls built before 4700 BC. The bastions protected from raids the produced salt, which had very high value, compared to today's oil prices. Prof. Nikolov's discoveries have been confirmed so far by scientists from Japan, Great Britain and Germany, who follow closely research in Provadiya saltpans. 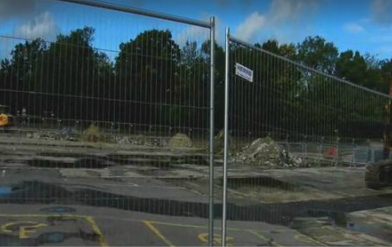 ROYAUME UNI – Crawley - An eight-week archaeological dig has started at the site of the former Sussex House in preparation for construction of a new supermarket and hotel complex. Preliminary archaeological work at the site adjacent to Pegler Way, which took place earlier this year, turned up medieval finds and, as a result, additional excavation - including a number of trial trenches and three larger excavation areas - will go ahead over the next two months. Chris Ward, of developer Land Securities, said: “We are delighted to be getting on site to complete the archaeological investigation of the site, particularly in areas identified in our preliminary studies. TURQUIE - Rhodiapolis / Enez Castle / Hadrianopolis Archaeological excavations at three locations in Turkey have revealed numerous artifacts from three ancient cities. The walls of Rhodiapolis, built during the days of the Byzantine Empire, and a mausoleum from the Hellenistic period were the finds in the southern province of Antalya. The excavations of the area, which have been ongoing for seven years, have also revealed an amphitheater, the first hospital in the historical Lycian region and the stoa of the ancient city. Assistant Professor from Akdeniz University İsa Turgut stated that they have cleared the area carefully from debris and plan to reveal the façade of the mausoleum next year. Meanwhile, excavations being carried out at Enez Castle in the northwestern province of Edirne have resulted in the discovery of a 2,500-year-old urn, a 2,350-year-old bronze wine goblet and cultural ruins dating back to the fourth century B.C. 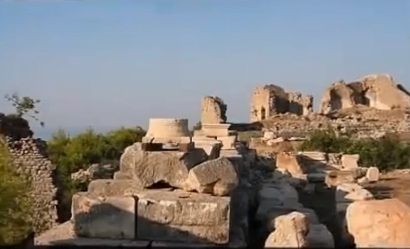 A team of 40 started restorations in Hadrianopolis in Eskipazar, a district of the Black Sea province of Karabük, where illegal excavations had damaged the historic artifacts. The town was reportedly built by Roman Emperor Hadrian. Assistant professor Vedat Keleş of Atatürk University told reporters that they are working to prevent further damage to the churches in the city and that the team has cleaned nearly 1 million mosaic tiles in two months. USA - Fredericksburg - Stafford County wants to rezone Ferry Farm, where George Washington lived from age 6 to 20, on behalf of The George Washington Foundation, which runs the historic site as well as Historic Kenmore Plantation in Fredericksburg. Foundation archaeologists discovered the remnants of the Washington family’s home after years of effort, a discovery announced to worldwide interest in July 2008.